The heart of Bio-Construction is the respect of nature by using materials local to the region and closer to their natural state to build a home or shelter that inspires and generates a healthy living environment. This approach to building empowers us to be creative and have a sense of integrity about our impact on the environment around us. 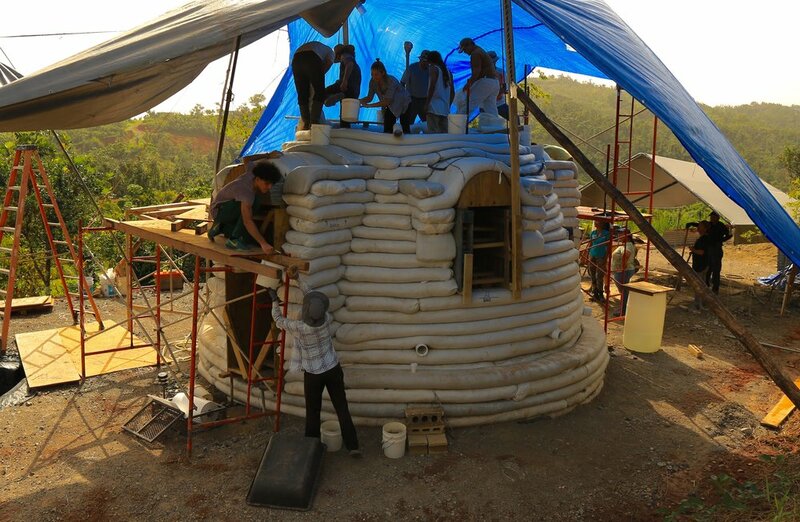 Plenitud is known for its demonstration of SuperAdobe techniques integrated into the construction of the main house on site, which provide a very well-insulated escape from the hot tropical weather and a sturdy shelter for the storm.